At Microsoft’s Windows 10 event today, the company announced that all of its apps for Windows 10 are now “universal,” meaning that they work across both desktop and mobile. 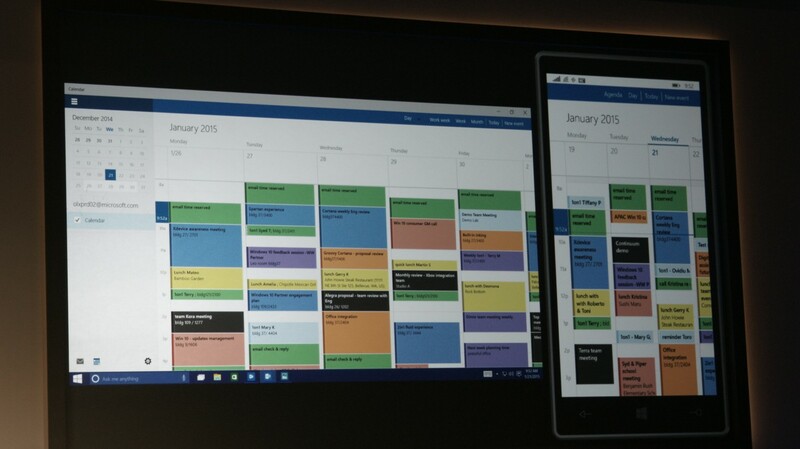 For example, Microsoft’s Office apps now work across mobile and desktop. 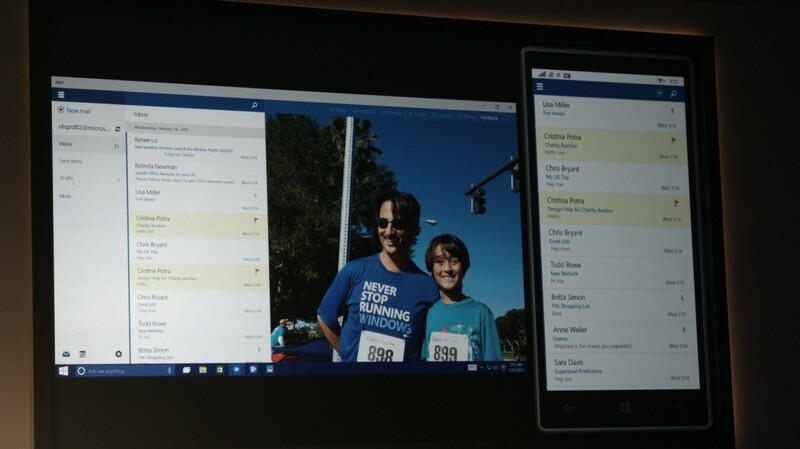 Outlook, for example, now shares the same code but customize the display for each screen size. This also means that a full version of Outlook is coming to mobile users for the first time. You’ll be able to manage your full email and calendar, just like you would expect. 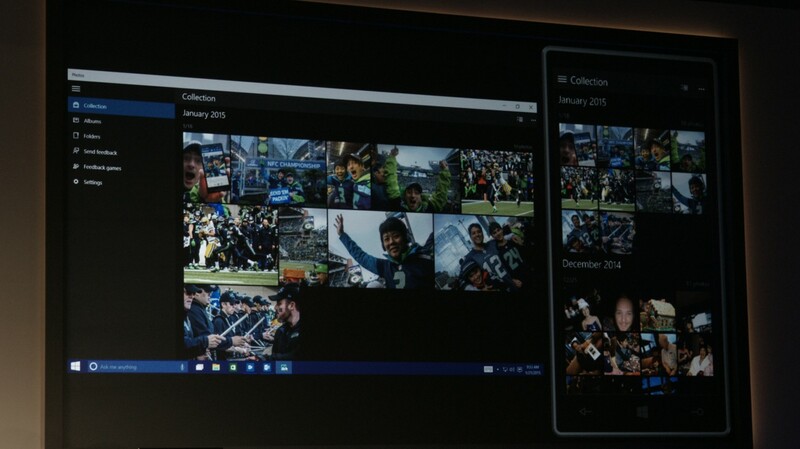 The company demoed the photos app, which shares the exact same code on phone and desktop. One benefit of this approach is seamless syncing; if you delete a photo on the desktop, it disappears on mobile too.